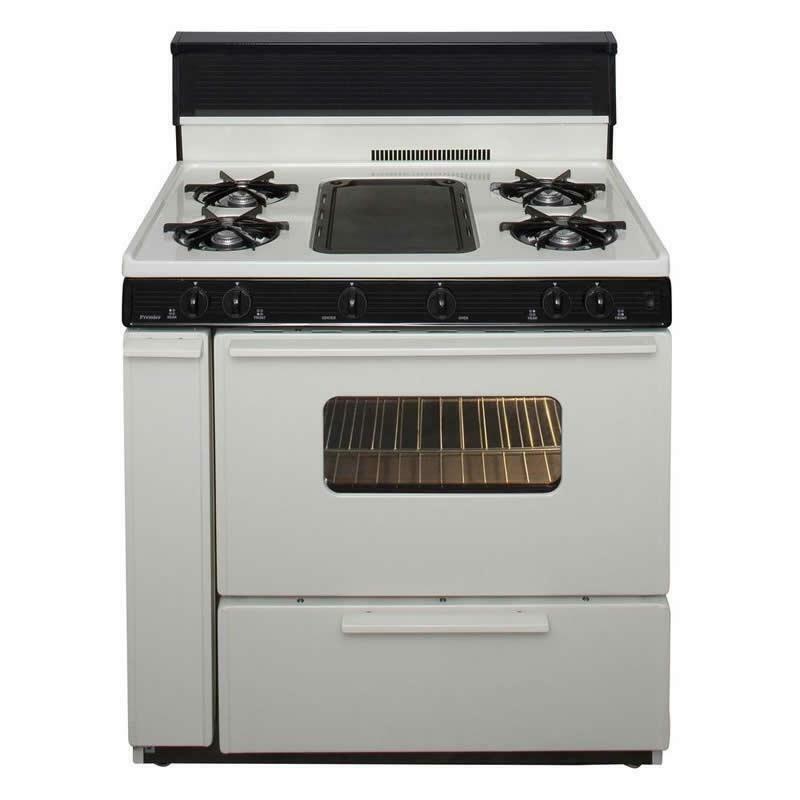 Cook tasty meals with this Premier freestanding gas range that features 5 burners, including a griddle, to help you prepare a variety of dishes. 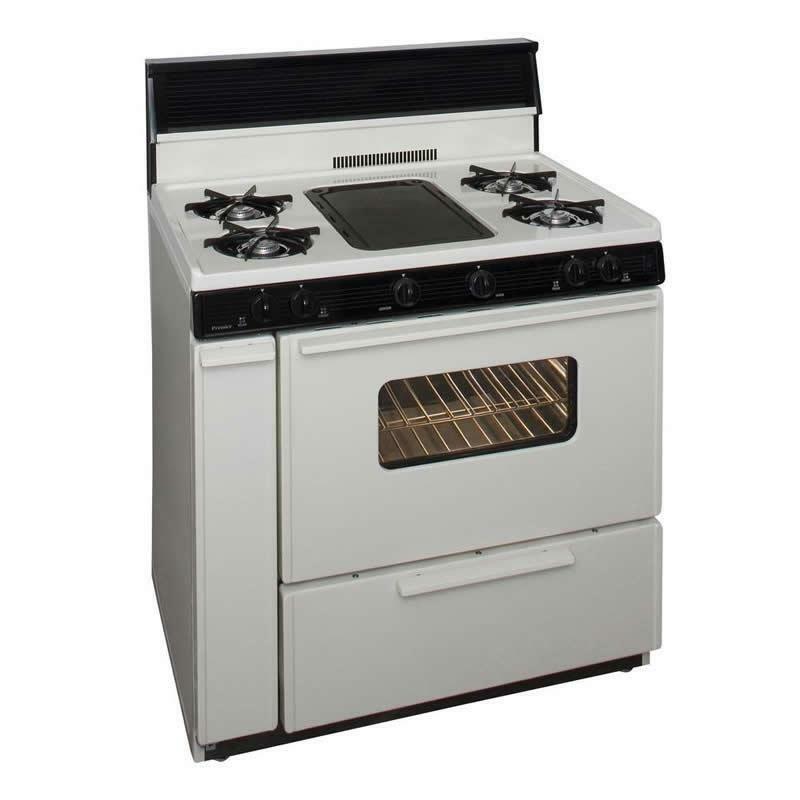 The baffled oven burner heats food evenly for flavorful results. The built-in griddle provides an integrated flat cooking surface that is stainless-steel cover guards against damage. Additional Information Blade-type control knobs; Built-in griddle; Baffled oven burner; Sabbath mode; Lift-off cooktop; Bakeview window. Burners/Elements Output Five of 9,100 BTU.